Many profound moments in our lives are commemorated with the gift of flowers. The meanings and sentiments expressed with flowers range anywhere from deepest joy and congratulations to deepest sympathy. Creating botanical mixed-media paintings utilizing flowers from memorials, weddings, anniversaries, birthdays, graduations and other occasions where flowers are presented to honor a person’s life or special occasion has become the most fulfilling aspect of my art making. It is my desire to provide a way to archive these kinds of moments in a lasting and deeply personal way. To witness the sentimental connections these compositions provide my family, friends, and clients is extraordinary. I presented a dear friend of mine with a painting, which incorporated memorial flowers from his father’s funeral service. He very sweetly refers to the painting as “heartwork” rather than artwork. Art is my passion. I have been a botanical mixed-media artist for the past sixteen years. My art is shown in galleries in various parts of the country as well as being included in numerous juried art exhibitions and it is part of private, corporate, and municipal collections. 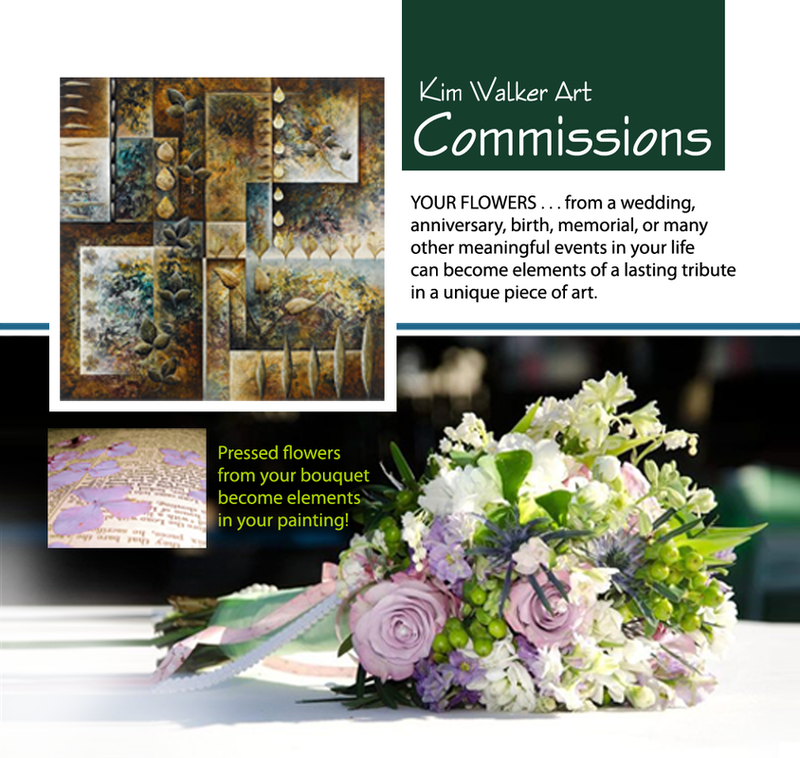 Please contact me if you are interested in a privately commissioned artwork utilizing botanicals from a personal occasion. It would be a great honor for me to work hand-in-hand with you to create a very unique and deeply personal composition.